err ok!! That is one tough race i assume?! Was this a first time thing, or has it been going for a while? Has anybody made the full 5 laps? Was it a particularly tough/slow year or do they always see such a tough finish list. And well done!! Looks a bit mental! As for me, i discovered (again) that there really is no way of hiding from a lack of fitness and deep lying fatigue! Especially on courses with 1,400m of slippery and steppy ascent over 35km! I think i probably finished where i expected in terms of time, but it still damaged the ego to be so far behind my friends that i normally beat/keep up with. though the three of us that ran the arc in Feb were all way down on previous form, so at least it wasn't me! As soon as the terrain pitched up my legs just had nothing. zero. I just couldn't get them moving. When this becomes apparent within the first km you know you're in for a long day! especially as i went within a km of my house about 35 mins in! Didn't help when my shoelace tripped me up within 30 mins resulting in a pretty heavy fall onto my knee, cutting it open and hitting it quite hard on the blimmin concrete bit! That hurts today! That said, i'm very happy with how i dug in and toughed it out. I was making ground on those around me on the (few) flat bits and the descents, but was getting absolutely stuffed on the big climbs. I could barely walk up them, my legs just did not want to play. managed to complete in 3.30 in about 30th place (edit* turns out i was 25th), so not a total disaster. it's a great race though, and i'll deffo go back. Bringing in some serious questions now though as to whether or not i go for the full 100 miler on the jurassic coast in June, 8 weeks away. I'm telling myself that the legs will be fine at the slow speeds required, with my trusty poles and being able to actually walk all the hills! but i'm not sure. there is no way i am DNFing, unless i'm in absolute pieces, so i'll probably leave my decision till pretty late. Worst case scenario i'll tap into the 100km or 50km instead. Meadow of Fame. Be very interested to know any more you can tell us, even if that has to be via PM. Funds simply rule out anything like the Big Backyard or that hilly one Canadians struggle in, so I'm definitely "amused" to have something so eminently failable so locally. I had something of a rude awakening this weekend. At a wedding in Clovelley, so snuck out early to do some SWCP. After 30 minutes of slip-sliding in the moonlight and mud, sweating gently and out of breath from a hands-on-knees set of steps, I checked my watch to see a glorious 3.3km in 32 minutes. WF actual F! So much for my planned 20km of coastal bounding. I managed 6km in an hour on the way out and then in actual daylight, came home in 45 minutes, including a creditable 7th on a downhill segment which given a) the conditions - off-camber clay-ish gloop and b) I'd only ever seen it once before, on the way up it, in the gloom and with sweat in my eyes, I'm pretty pleased. At least I can descent. Shame about the flats and ups. I only passed one runner in two hours and it was on this descent. All I heard was "where the ~#*$ did you come from....?" Cheered me right up. Anyway, I've only a few more long runs before getting into some races-as-long-runs, first Newport marathon, then a local trail marathon. Race to the Tower is getting worryingly close. I shall know after Newport if I have the speed endurance to do anything interesting, or if I'll be grinding it out for UTMB points. Side-question (for those parient enough to get this far) - do you have to open some sort of account with the UTMB or anything to "store" your points? TIA. First time it's been run in this format, not sure how true to the original it is. The above link I think answers the 5 lap question. Hoping for a barkley-esque reputation so no one finishing is ok by them. Location revealed 2 weeks before. 10mins with the master map before you head out. 8pm start. Been doing a bit of debrief when I can face it. I make as the crow flies between CPs 38km / 23miles a lap and just over 2000m of ascent. Having worked out my two laps from memory they were more like 60km with 2250m of climb. A few tricky nav trade offs and some very very nasty terrain underfoot. Reading some of the fb groups there were 4 spine finishers who only managed one lap. When you say nasty terrain, was it bushwhacking, scrambling, bog snorkelling or a bit of everything ? Was the hammer useful ? Not sure where else to put this, so settle down at the back and pay attention please class. 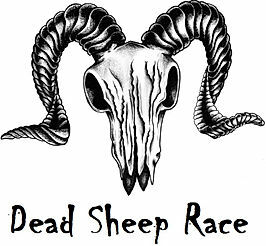 After ten manic and slightly terrifying minutes in the map room marking out of bound roads & checkpoints I was on my way into the darkness to my first checkpoint, the dead sheep was started. The first few checkpoints fell into a fairly straightforward sequence forcing you between highs & lows, the later checkpoints on this reverse lap were more distant and left questions open in my mind as i set off. Like most of those competing I hadn't come expecting an easy time of it, "borderline unfinishable" was my usual assessment. With a 20mile loop I was all set with a litre & a half of water and enough food for 6 hours plus. I'd done some miles, mountain running & nav in training and even successfully recce'd the area as best I could. Little did I know however that in 6 hours plus I would be barely half way around the first lap. The first CP was easily achieved on road & marked paths, the hammer was deployed and I was on my way. Fairly soon I teamed up with Richard and it was kind of nice to have another mind on the matter as we headed off piste up to the next CP. Somehow we hugged one side of the ridge on sheep tracks and made it up okay, hammer deployed again. We took a bearing down some very close spaced contours and dropped down through the darkness, from the bottom again on a bearing up to and along the ridge to eventually find the CP. Here was a taste of things to come, somewhere was a path which would lead us close to the checkpoint, finding it on the ground all but impossible our bearing took us through marsh and tussocks of grass and fields of babyheads. It was all still new and exciting at this point and competitors close enough to see head torches above and behind, slightly comforting. Hammer time again at this checkpoint and back on a bearing to meet what should be a fairly clear trail dropping down to hammer our next CP. Clear it was, easy running it wasn't. Now the option to take a bearing into the unknown or drop a little further through a farmstead and at least start our next ascent on a marked bridleway, we took the latter. Once again following our noses in the right direction to the next high point & CP. More hammer. Now the question mark as the checkpoints got much wider spaced, stay high on the tops with dubious tracks for several km or drop and ascend a marked track. We chose the latter (I'm not sure if anyone went over the top day or night) and then how to get down. We headed off to find a marked path down and got massively disoriented, eventually opting to just head north and down until we hit a clear handrail at the bottom. Several gullies & brooks and a bit of back tracking later we were still descending and could have been any of several locations on the map. A few more head torches coming down and we all eventually made it, albeit 800m away from our best guess. It feels like we've lost hours meandering round in the darkness. Having made it to the start of the climb the field had converged rather, we were now a group of 9 ascending. Eventually we saw some headtorches descending from the direction of the checkpoint and headed off in that direction, at best it was only a few hundred metres off this path, from where we started more like a mile over rough ground. It felt like we visited every high point on that peak before the hammers came out again. Everyone basically took the same bearing and a string of runners headed off downhill, a few crossed a brook and went down the other side the majority stayed to the right where toward the bottom we had foot high babyheads with foot deep bog inbetween.. immensely hard going. A very long way round but some flat running & a hopefully obvious path or steep ascent to the tops followed by shooting a bearing & hope to hit the CP 5km or so later. We headed to the ascent point, the climb was black but a fairly clear night meant you could make out the top of the ridge a long way above us. Half way up two head torches scanned back & forth as two ahead attempted the climb. We stopped and debated, knowing how poor the going had been off track but also appreciating the long way was maybe and extra 10km. Another group of 4 joined us and had decided on the long route, we were persuaded. We're now 6hours in, I'm still eating but I've been out of water for an hour and rationing myself for a couple of hours before that. Finally we find some fast flowing brooks to refill from, i have a purification straw but it seems like a faff and we want to keep moving. Rich and I were happy to get the legs moving and ran fairly well, eventually the 4 split and Ricardo & Karl joined us. After an eternity we started our climbing as it starts raining, the track was clear and even had waymarkers on occasions but still heavy going. Karl does a good job taking up navigation here and picks out features well as daylight comes on. We get to the dogleg that is maybe 1km from the checkpoint and take our bearing, such a relief to be able to see where it points and not just run blind. There's a quad track that we follow down & over a small ridge, the checkpoint is a tiny feature just over the crest. Nothing, we fan out a bit in a few direction and after luckily not too long Karl spots it. We get hammering and head off along another quad track that ironically passes within 5yards of the CP and is going the right direction for our next descent. Shortly before leaving another competitor who was in the group of 9 arrives having gone cross country, maybe our route choice was ok? A touch of road and some more good running, maybe not the most direct but I know exactly where this CP is and that it is just off a marked bridle path that actually exists on the ground. We climb again, run, walk, trot whatever keeps us going. The cloud has come down a little and at some stage we dropped Rich (sorry) which we don't realise until only 3 of us make the CP. We hammer & look around, just as we're leaving we see him approaching from the wrong direction having overshot after we left the path. Just down & home right? Well yes fairly straightforward altho we struggle to find the footpath once off open access land. The one that avoids the shotgun touting farmer. Back to race HQ after 13hours, for one "20" mile lap. Even at your most pessimistic you might allow 8, but 13 ? Still, at least we know what we're dealing with, my mind wonders how much faster a daytime lap could be. In my head I didn't hang around but after a cup of tea, sandwich, fresh base layer & gloves, clean & sort feet (that had basically been damp or wet for 13hrs, looked awful but in surprisingly good nick), fresh shoes, restock race pack (with twice as much food). After what turns out to be around 40minutes Karl is heading off and I ask if he'd mind a tail, we set off back into the rain on a lap in the opposite direction. At least it's daylight. After the shotgun incident that farm is now out of bounds & one of the roads is now allowed, we make good time up to our first CP and retrace back down to the climb up to the next. Knowing now about the quad track we head up knowing to intercept it and make it straight to the CP, result. After a quick look at the map we go the long way again, this time in daylight. We make a meal of finding the track and altho it is easy to follow it's still hard to make good progress on whilst on the flatter section we're getting tired and being able to see how far you have to go becomes seriously soul destroying. What was the descent from the next CP now becomes an ascent although we do a better job of avoiding the babyheads it feels like a slog. At least now any rain is only showers and I'm mostly drying out inbetween. We drop down again, in daylight it becomes clear that we're too far west but I'm convinced that's the way we came up yesterday, following farm tracks rather than the marked path. Pretty tired by now, but still eating & still moving and we're pleased to be making as much progress as possible in daylight since barring a miracle we'll be finishing in the dark. Karl had a clearer view on the ascent to this checkpoint (the descent we screwed up on yesterday) so we followed up a bearing. This was a slow slog of maybe a mile and every crest felt like it should be the CP, only to be foiled by false summit after false summit. Coming off this high CP the clag has come down and we're following a bearing looking for a good spot to head down for the next one. Intel from runners going in the other direction suggest there's at least a "trod" heading direct across the section we'd avoided in the dark. On our bearing we come to the edge of a massive dark, peat bog area stretching as far as we can see (not very far), somehow we missed this on the way up (and on my recce). Not being able to see the feature we wanted we head down anyway, not under the cloud we can maybe make out the path they mentioned but it's way off to the left over the usual marshy land. We follow the stream down to the main track & back up to the CP. Still daylight, just, as we start our way up the track toward the next CP. I'm pretty much out of water again but no sensible source round here unless you fancy a puddle. There's a crazy cloud inversion off toward our penultimate CP but luckily our current goal looks clear still. Karl knows the path up exists & luckily we can see it and take it up. The light goes as we climb and the cloud comes down again but we know we just have to follow the ridge up to the checkpoint. As I'm climbing i see a headtorch coming and use my hand torch to signal where we are, in case it helps. It can only be our race leader Thomas catching us on his 3rd lap. We make the summit together & the hammers come out. Getting back down will be a problem as the path we came up has a turn we'd probably miss so we descend on a bearing. My legs are shot by now, I'm still out of water almost out of food & making any progress is hard even on relatively good ground. Karl is moving ok, Thomas even better and as our bearing takes us across more marsh & uneven ground we get strung out so much so I'm in danger of losing Karl who is trying not to lose Thomas. A few times even my powerful handheld torch can't pick out the reflectives on Karl's pack through the cloud. I'm at an all time low at the thought of losing them on a bearing i hadn't even taken and the climb to come. Luckily Karl is keeping an eye out for me, and Thomas has found the start of the ascent by the time we get there (maybe it's easier 3rd time around!). What follows is something like 300m of 50% gradient straight up and the sight of Thomas' torch increasingly high above leaves me in despair. I can barely make 30 paces before I'm breathing heavily with my heart rate through the roof and I'm regularly resting on my hands and knees such is the gradient. Thomas ensures we make the summit before heading off again. Penultimate hammer time and our recollection from here is a simple descent and clear trails all the way home, hmmmm. What should have been a simple descent was not, nothing like what Rich and I had managed to pick out on the way up. I was struggling to co-ordinate my feet and this had it all, bracken, bog, babyheads and even worse; rock fields. At least I found a brook to get some water and by then i didn't care what might be upstream. I felt bad that Karl kept having to wait for me, my body was in shutdown and I had to get a handful of sweets off him to get some sugar in. After an eternity we dropped down to the fence line and turned right. I was pretty disoriented and that felt wrong but i had no fight in me and followed on. At the next field corner Karl is describing where he thinks we are, it doesn't make sense but I can't work out if that's just my state of mind or not. After a bit of debate he explores a field off to the left which also seems wrong, now he's confused too. I work my own logic based on where he thinks we've hit the fenceline, which surely means we're literally 100m from the track we need if we follow the fenceline further down, not off to the left. I must sound confident enough that we go that way and luckily I'm right. That descent took forever but we're finally back on track. I try to persuade him to leave me at this road section, i know there's more climbing coming and it's easy tracks to follow so I'll be good. He won't go so i just settle into as much of stomp as I can. The next climb is depressingly slow but finally we come to our last CP where i first wielded my hammer over 24hours earlier. Finally dropping down, over the wobbly bridge to the road section. Still walking at what is an interminably slow pace and the road goes up for ages, i really don't remember that much down on the way out. We're there, we shake hands and go into race HQ. Not quite job done, but race done at least. It's 25past midnight and we're the last people out on the course. From the original entry list at least 60% dropped out before the day or DNS. From the 31 starters, 18 completed 1 lap, 2 started the second but did not complete it, 9 completed 2 laps and 1 completed 3 inside the 30 hour cut off (yes that was Thomas who we'd seen several times on course and took an hour and 10 minutes out of us on that last section!). Thanks to Rich & Mark for conception & organising, other Rich for his company and nuts on the first lap, Karl for his immense patience on that 2nd lap, Dave & all the other starters we met & crossed paths with out on the course and finally all the sheep living and dead we passed throughout the event. Lap as the crow flies: ~23miles & 2000m ascent. Lap as run: ~38miles & 2250m ascent. Found a sensible looking nav option for "the long CP", bit late now. - Tiny lambs only hours old with no street sense following us and baa-ing madly. - Crazy bouncy wobbly bridge on first lap, less liked on second lap. - The cloud flowing over our penultimate CP to our left as we ascended from the one before. - Laminated map, with a tether to stop it blowing away! - Reproofing my waterproof the week before! Essential. - Handheld torch (fenix tk11) great for reading the trail on descents and scanning lay of the land for orientation in the dark. Also handy for spotting checkpoints from a distance and picking out Karl ahead of me in the fog! - Altra King MT. Absolutely love these guys. - Cheese bagels & hula hoops in the pack. - Easily accessible handheld bottle for refilling on the go. - Alpkit leggings with stash pockets, great for the headtorch & hat/buff/gloves going on off depending on level of exposure. - Lap checklist, basically everything i needed to do to get back out ready for another lap, really helped as i'd have been tempted to skip a bit of personal admin or forgot to restock food in race mode haste. Much appreciated - I had understood this to be the case from reading the blurbs, but I've been known to miss the glaringly obvious on occasion and don't fancy putting in two ultras-worth of effort for nowt! Dude, that sounds flippin' insane, well done!!! I have absolutely hated runs where we've encountered an hour or so of babies heads. I can't imagine running that nonsense for 24+!!! Evil! I'm also impressed by your memory recall of the event! Can't go so far as to say i'd be tempted, but it was a great read! Hi all, I'm doing UTMB this year, haven't gotten around to entering any other events yet before it. Obvs I'll be doing some hill work in training, but can anyone recommend some nice hilly ultras to look at doing ? I have looked down race listings but it's always good to get recommendations. There is nothing like training on the course - this may prove more valuable than entering an ultra. I can recommend flying to Geneva on the first flight in the morning, get an Alpy bus to Les Houches and then run to Crois d'bonhomme refuge. Get a move on and you will be there for food at 7pm. Then up first thing and crack on to Refugio Bonnati for 7pm dinner again. Then up first thing and on to Trient, you got it, for the 7pm meal and finally up and finish in Cham. Alpy bus back to geneva and fly home. In 3 1/2 days you will have done the route, all in day light. You will then go home S! !t your self and spend the next month running up and down hills. and i mean down hills. It is the down that kills. Also you can stop for photos on the way round meaning you wont need to in th event. Also get used to using poles.